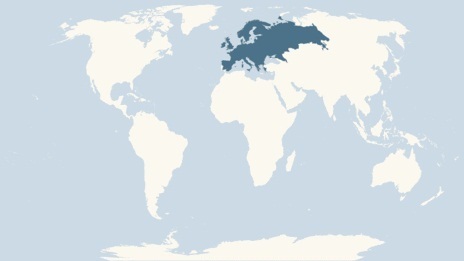 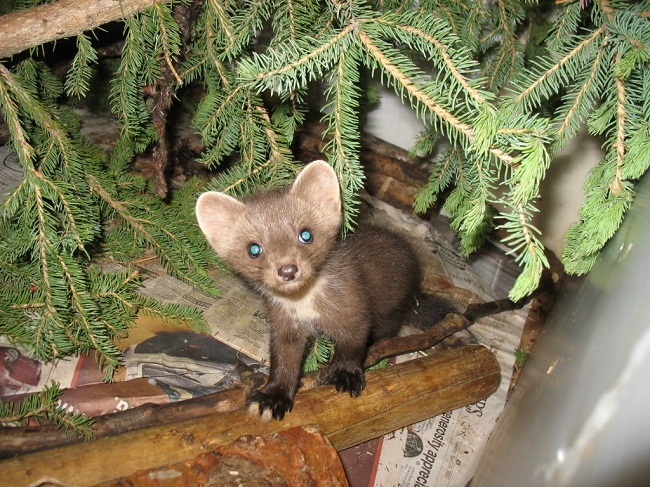 The pine marten is a slim, agile animal native to the deciduous and coniferous forests across Central and Northern Europe as well as some parts of Asia. 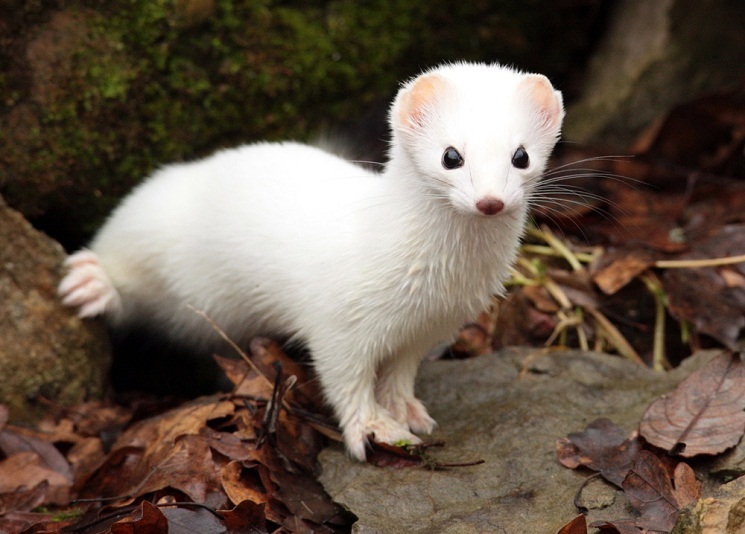 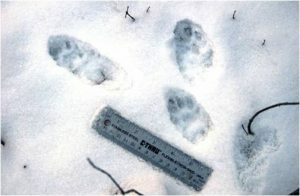 This elusive creature is characterized by a soft, silky fur and long, bushy tail, with the males slightly larger as compared to the female pine martens. 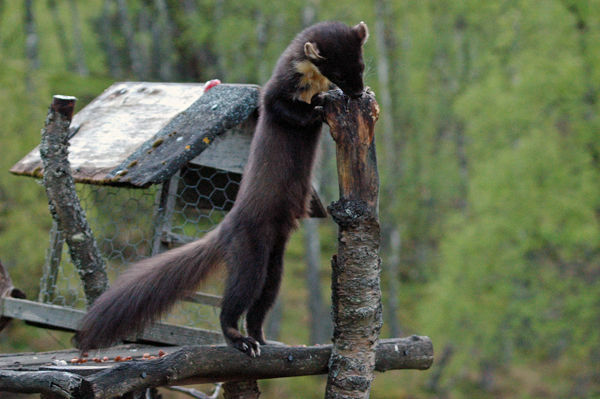 Despite being fast movers on the ground, these nocturnal animals primarily lead an arboreal lifestyle. 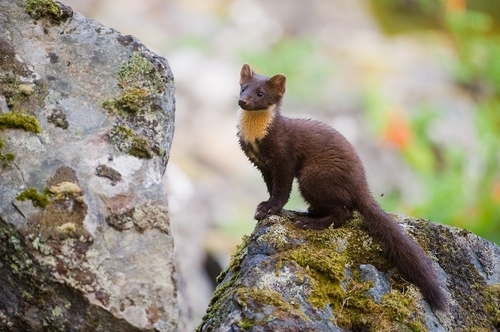 They are solitary creatures, which often use rock crevices, discarded bird nests, and squirrel nests as hideaways. 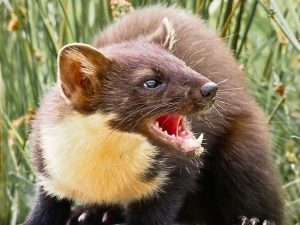 Pine martens are territorial by nature, and so scent-marking of their home range through deposition of “scats” (feces) in specific locations is a common behavioral trait. However, temporary male-female interactions occur during the mating season and when juvenile martens are raised in the nest. 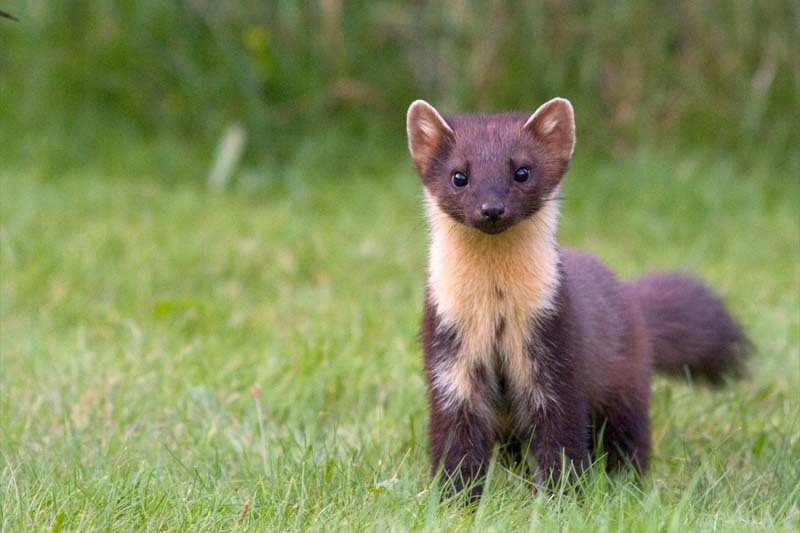 After copulation, an adult female undergoes delayed implantation that generally occurs during February-March. 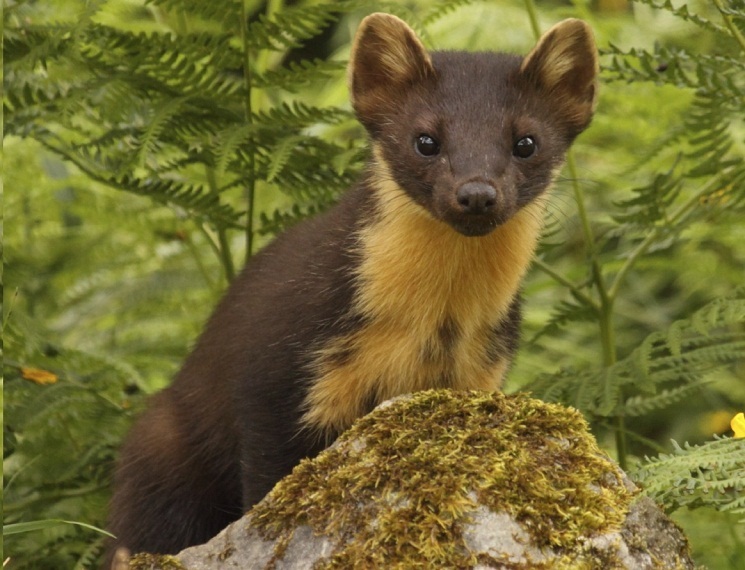 Embryonic development lasts for a month, and then the female pine marten gives birth in either late March or April. 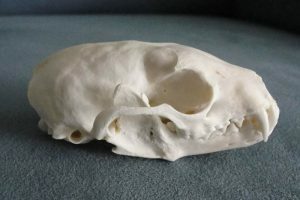 At birth, the offspring are deaf, blind, and helpless, weighing only 30 g. They open their eyes at 34-38 days while weaning takes place six weeks after birth. 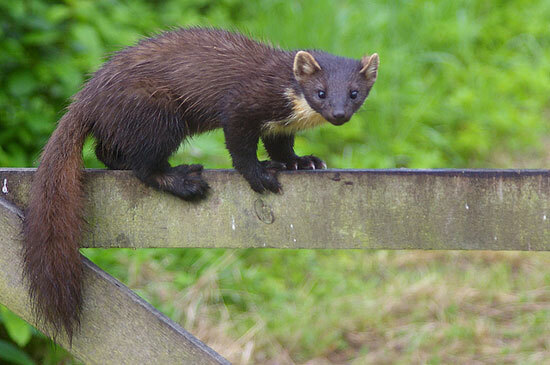 The young pine martens start leaving their dens when they are 7-8 weeks old but become fully independent at 12-16 weeks. Juveniles attain sexual maturity at 14-15 months of age. 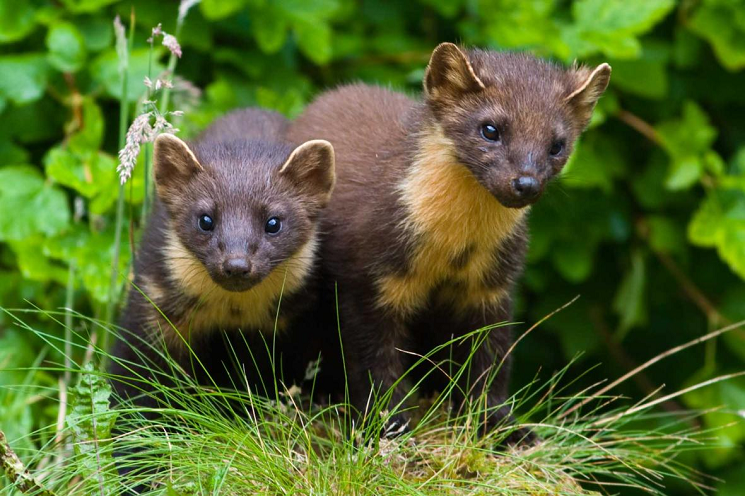 The reintroduction of European pine martens in Ireland and the UK is associated with the decline of gray squirrels, a species considered invasive in Europe. 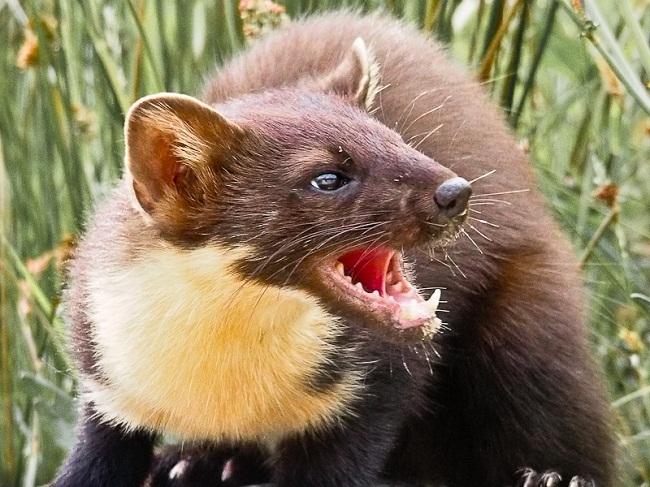 American martens are also commonly called “pine martens,” although they are distinct from their Eurasian counterparts. Although they have similar black and twisted scats like foxes, the feces of pine martens can be distinguished by its floral odor. Published on November 26th 2016 by admin under Coniferous Forest Animals. 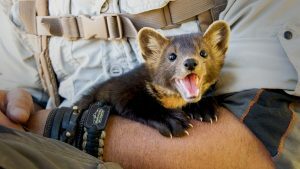 Article was last reviewed on 21st February 2017.